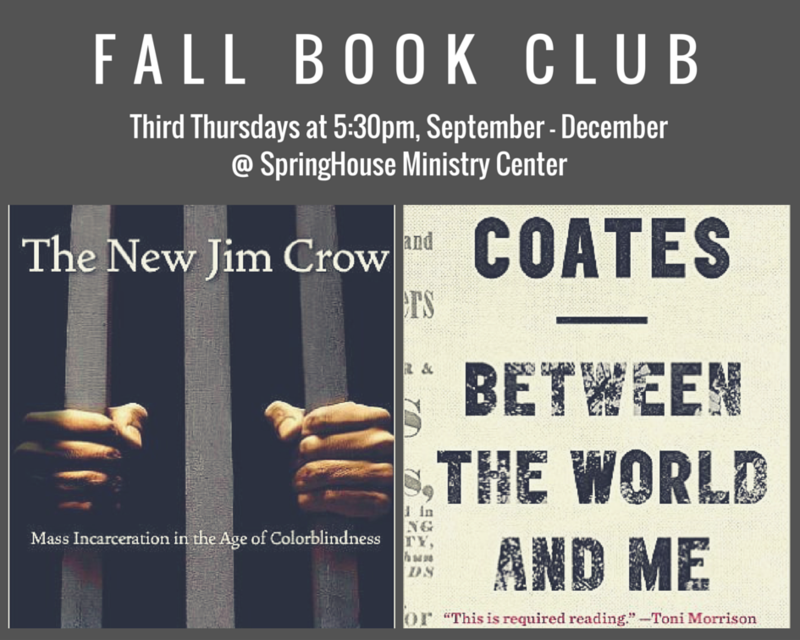 As we grapple with the realities of racism and white supremacy in our country this fall, we’ll be reading and discussing Michelle Alexander’s The New Jim Crow. We’ll also read Ta-Nehisi Coates’ bestselling memoir, Between the World and Me. You're invited to be part of our Book Club! Fill out the form to the right to sign up.